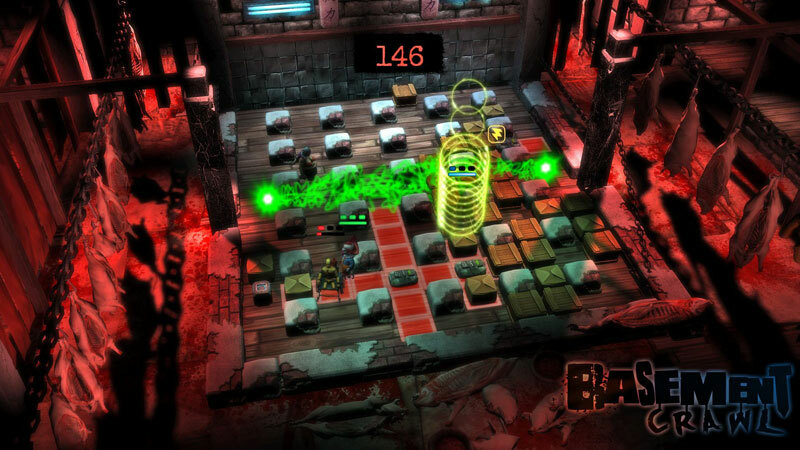 Basement Crawl is a strategic action game that combines maze-based mayhem with high intensity action, explosive traps and potent competition. 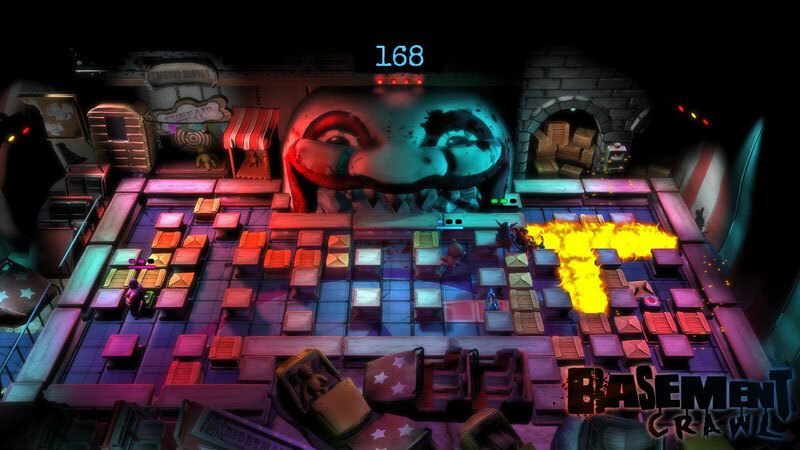 Players are able to face off against three friends via the four-player local multiplayer or join into a larger game online against up-to-eight players. 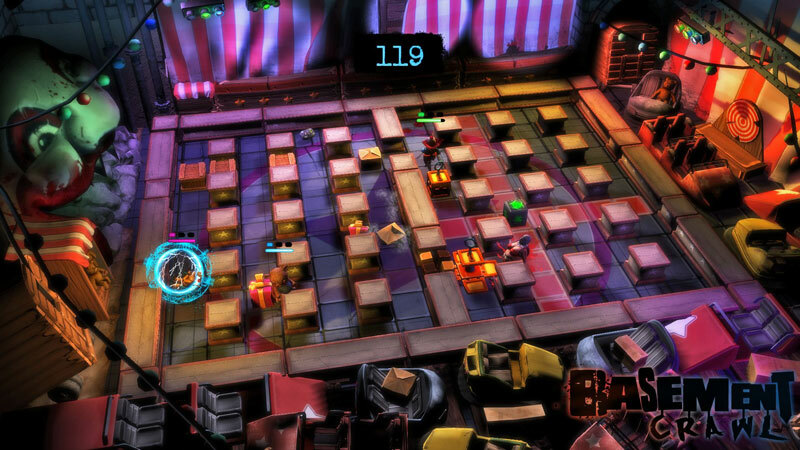 Basement Crawl tries hard to recapture the magic of Bomberman but has a hard time with its horror theme, lack of a real tutorial, and online connectivity issues. Overall, Basement Crawl can be a fun game but it's hard to justify a purchase when half of the game just doesn't want to work. With just two modes, generic levels, a grating aesthetic, and an interface that damages the play experience, Basement Crawl would lack anything to keep us around even if it functioned soundly. But considering its severe online problems that effectively ruin half of this barebones affair, even desperate Bomberman die-hards itching for a modern fix should leave this rubbish hidden well out of sight. 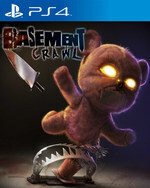 Basement Crawl is a reasonably-priced, well-made game lacking the features to make it a must-have. It simply doesn’t offer enough as a multiplayer-only game to fully recommend as a purchase to anyone other than folks who are dying for Bomberman on the PS4. As a clone of that franchise, it has a refreshingly different art style and motif to it, but would’ve benefited from a single-player campaign to get into the story only hinted at in the opening cinematic. From the confusing UI and instructions, to the needlessly off-putting aesthetics, to the fact that the game just doesn’t work much of the time, Basement Crawl is uninviting to all but the most masochistic and desperate of players. 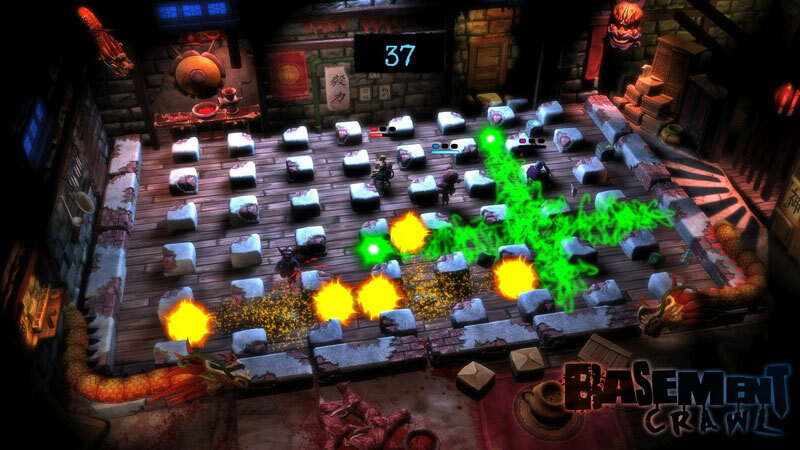 ...A poorly executed Bomberman clone that is technically broken in almost every respect, Basement Crawl is shambling husk of an online multiplayer game. Avoid as if your life depended on it. To top it all off, Basement Crawl is buggy at worst and unfinished at best. For example, when you pause an offline game, the action pauses, but the match timer keeps ticking down. ...But if you're really desperate for this kind of experience, you're better off hunting down just about any Bomberman game from years past, rather than getting dirty crawling through the muck in this basement. 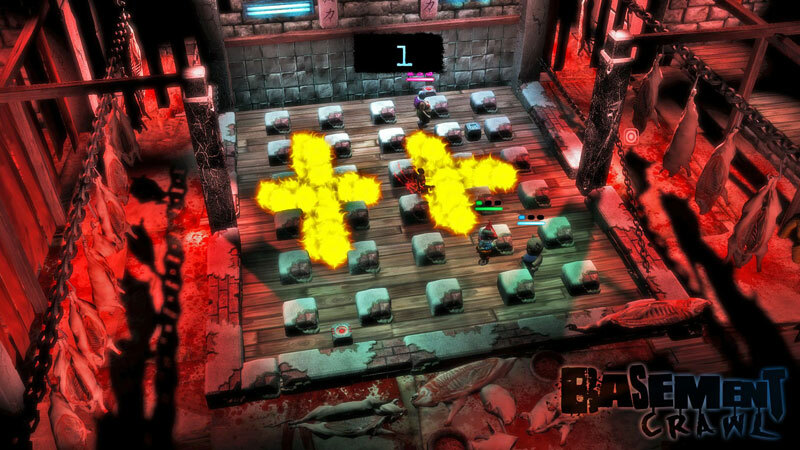 Basement Crawl is not only a broken, unfinished game -- it's also a poor one. It's sad that given the situation with Hudson Soft and Konami, the chances of a PS4 port of a Bomberman game are slim to none. It sounds weird to be asking for yet another Bomberman game in 2014, but given the circumstances, anything would be better than this. Basement Crawl is incredibly frustrating, because this kind of game deserves a revival. The contained chaos of a hyperactive action-puzzler suits online multiplayer, and if the core design of Basement Crawl were up to snuff, this could've been it. But the game can't even get its basics right. Developer Bloober Team has promised to address some of the issues with the game, but as it stands, Basement Crawl is a trainwreck. It’s a simplistic sort of time-killing fun that I would expect out of a cheap mobile game, but as a full featured PS4 title, it feels like there is content missing and a lack of polish. Add to that the confusing nature of what Basement Crawl is really trying to be, the lack of anything to capture interest past playing a few matches, and the multiplayer-only focus which will create limitations when few people are online playing, and you have a game that probably isn’t worth the space on your hard drive.